Despite the Bharatiya Janata Party (BJP) dropping ample hints that it will favour a tie-up with Shiv Sena in the upcoming polls, the Maharashtra-based party seems to have little regard for saving the Sena-BJP alliance. That, or either BJP's 'natural ally' is ready to put everything on the line to see how far it can go with the saffron party, which is jittery of losing another NDA ally before 2019 Lok Sabha polls. Because nothing else explains Uddhav Thackeray's misadventures in challenging Narendra Modi and the BJP in their stronghold of Uttar Pradesh, and more specifically the small town of Ayodhya. The two parties have been bickering over myriad issues for quite some time, but they still shared the common Hindutva plank. 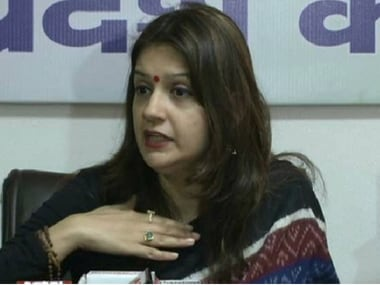 But this time around, swords are drawn over the Ram temple issue, something that has primarily been BJP's signature, and also the reason it rose to prominence in the national political scene. Shiv Sena chief Thackeray is headed to Ayodhya with full might. As announced during his Dussehra rally, Thackeray is set to pay a two-day visit to Ayodhya on Saturday-Sunday and take a darshan of 'Ram Lalla' there. He will be accompanied by around 3,000 of Shiv Saininks who left for Ayodhya in two special trains from Thane and Nashik on Thursday. Moreover, apart from arriving in Mumbai, several thousand of party activists are expected to join Thackeray from the rest of Maharashtra, Gujarat, and other parts of India. The politically significant visit by Thackeray is expected to build pressure on its ruling ally, Bharatiya Janata Party, to expedite the construction plans for the proposed Ram Temple there as a run-up to the upcoming 2019 Lok Sabha elections. However, contrary to speculation, Thackeray will not hold a political rally in Ayodhya, but will conduct a dialogue with the people and prominent citizens of the holy town. The Sena, which announced earlier this year that it will contest all future elections independently, has been sharply critical of the BJP and Modi for his "failure" to construct the Ram Temple though it has been in power for over four-and-a-half years now. 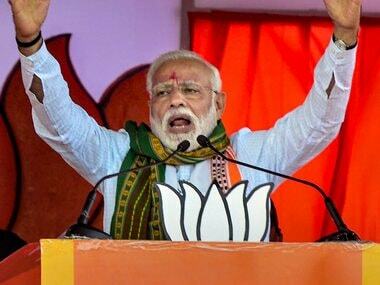 On several occasion, Thackeray has demanded that Modi declare the Ram Temple promise was a jumla to the Hindus and his party would take the lead to build it, claiming its priority was "temple before government". But sharpening his attack further on Friday, an editorial in Sena mouthpiece Saamna accused BJP of putting unnecessary terms and conditions on the Sena chief's 25 November visit when the BJP does its religious pitch — be it in "Nepal or in Varanasi" — without any fuss. With this new line of attack, what Sena is telling the BJP is that you try and upend our support base in Maharashtra, and we will challenge you on the Hindutva front. By turning up the heat on Ayodhya issue, the Shiv Sena does not hope to make a significant mark in Uttar Pradesh politics, and any direct electoral gain from the move is also highly unlikely. But what it does seeks to achieve is simple and quite doable: To expose BJP's duplicity when it switches over to the Hindutva track every election season. That coming from an pro-Hindutva ally of the BJP is likely to do more harm to the party than Congress antiques. The proof for this lies in the fact that the two parties have been in a political pact in Maharashtra for 25 years, but the animosity dates back to the time since BJP started emerging stronger in Maharashtra polls. Traditionally, the Shiv Sena has always been the big brother of the alliance, keeping a larger share of seats for itself. 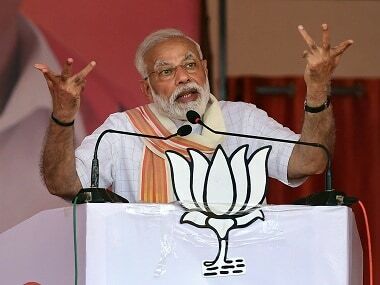 But after its resounding victory in the 2014 national election, and the death of Gopinath Munde — the de facto peace broker between the two allies — the squabble grew over seat-sharing, which eventually led to the two parties contesting the last Assembly polls alone and later forging a post-poll alliance. What followed was constant bickering between the two allies. From harsh comments on BJP's Achilles heel, demonetisation to criticism of party's pet schemes, the Sena constantly and steadily upped its ante. Another blow to the decades old pact came when the two parties failed to reach an understanding over the Palghar bypoll candidate, and fielded separate candidates against each other. It marked the first time that Shiv Sena fielded a candidate against the BJP in any Lok Sabha election since they came into an alliance. Not only that, the Sena added salt to the injury by fielding the son of late BJP MP Chintaman Vanga as its candidate who lost the seat by a slim margin. Shiv Sena's decision to field the late BJP MP's son gave BJP a chance to say that Shiv Sena backstabbed them and didn't follow courtesy of ruling coalition. However, that is not to say that the BJP has not tried to mend ties with the Sena. From Maharashtra chief minister Devendra Fadnavis dropping favourable hints to sending party president Amit Shah with olive branch, BJP has been rather large-hearted in pacifying its bitter ally. However, its ruthless election machinery which was subsequently at work to win the Maharashtra bypolls and local body elections at the cost of Sena, has been rather counterproductive in its effort to buy truce. Another blow to the reconciliation efforts from the BJP camp was Sena's unrelenting attack on Maharashtra Forest Minister Sudhir Mungantiwar following tigress Avni's killing. Sena chief Thackeray himself had opened attack against Mungantiwar following Avni's death demanding a probe in the incident. A hurt Mungantiwar pulled back from the reconciliation efforts, saying he was hurt by his 'friend' Uddhav's stance. The Sena has already made it clear several times that in future it will contest all elections solo, but Mungantiwar was among the handful of BJP leaders hopeful of cobbling up a pre-poll partnership, unlike the 2014 Assembly polls which they had fought separately. The development came barely days ahead of the upcoming Winter Session of Maharashtra Legislature next week, when the Opposition plans to politically batter Mungantiwar over the raging Avni killing controversy. 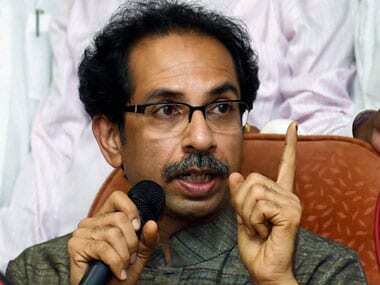 Meanwhile, reports suggest that Sena too is in a dilemma as many of its members believe that an alliance with the BJP will be favourable for their party, while contesting against the party will only benefit Congress and NCP. Speaking to Livemint off the record, two Shiv Sena Lok Sabha MPs and a Sena minister in Maharashtra said that an internal assessment has revealed bleak prospects for a majority of sitting Sena MPs in the absence of an alliance with the BJP, which boasts of a huge posse of ground workers in Maharashtra, thanks to the Rashtriya Swayamsevak Sangh. Sena MP Arvind Sawant also sought to play down his party's constant criticism of the BJP, hinting that all might not be lost for the BJP-Sena alliance. "We view the criticism as our duty to bring an erring friend back on the right track," he said. 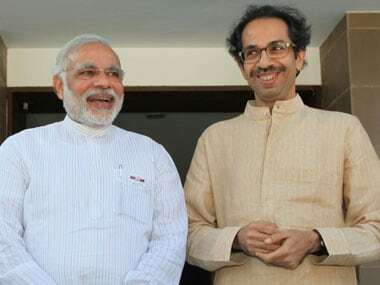 However, in a party run with an iron hand by the Thackerays traditionally, it remains to be seen whether Uddhav changes his mind ahead of the 2019 polls.